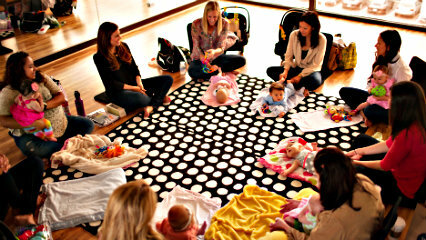 New moms are raving about OC Mommy & Me, an educational and support group for new moms and their babies based in Newport Beach. Founder, Alexandra Spitz provides a heartfelt and supportive group those looking for fun, educational and support during the exciting months of being a new mom. It’s also a great way to spend one-on-one time with your baby, while making new friends with other moms. Classes are led by a Certified Parent Educator and Certified Newborn and Infant Care Specialist and are organized by babies’ birth date. Classes meet on weekdays once a week for 90 minutes for eight consecutive weeks when babies are about 6-12 weeks of age. OC Mommy & Me classes take place at the Dailey Method Studio (across from Fashion Island and above Spa Gregories) at 200 Newport Center Drive, Suite 308 in Newport Beach. 949.679.4872.